Powershell commands are very much useful in SharePoint 2013 also. Check out some useful links related to SharePoint 2013. This provides links to categorized Windows PowerShell cmdlets that you can use in SharePoint 2013. This provides some basic Windows PowerShell cmdlets and concepts and how to use Windows PowerShell with SharePoint 2013. Lists Stsadm operations and their equivalent Windows PowerShell cmdlets. In this blog we will discuss about some benefits of community site in SharePoint 2013. 1- The availability of all Community Site content to all members of the community. 2- Full retention of discussion history in compliance with corporate governance guidelines. 3- Built-in search, which enables members to search all content in the community. 4- Ratings, which enable members to vote on individual posts and replies. Ratings contribute to the reputation of community members. 5- An achievement system that rewards members for participation in the community. 6- Categorization of content to improve discoverability and simplify maintenance. 7- Site maintenance via SharePoint lists, which provide a familiar interface and enable you to take advantage of the rich governance, records management, and workflow integration features of SharePoint. SharePoint 2013 introduced a new feature know as Re-Index to list and document library. This feature will be very much helpful if you have configured a new Managed Property and added it as a Site Column to your List or document Library. This feature will help to mark the list and document library to be picked up by a Continuous crawl, regardless of whether the items have actually changed. First Open the list or document library, then from the Ribbon click on Settings. Once you will click on the above buttons, it will ask you a confiramtion dialog, click on Reindex List or Reindex Document Library. CAML designer 2013 is available to download. - Windows 8 or Windows Server 2012. Download CAML designer for SharePoint 2013 from the below URL. Also you can check some screen shot in Karine Bosch's blog. This is a introduction video tutorial for SharePoint 2013 Search UI Introduction. This is provided by Ontolica. This is basically an introduction to how the UI looks in SharePoint 2013, Like what are presented in the left side of the search result page. Also you can check out some SharePoint 2013 video tutorials. In this article we will discuss about how we can embed a word document to a SharePoint page. Also you can see my previous articles on how to change master page in SharePoint 2013, What is new in developer dashboard in SharePoint 2013 and SharePoint 2013 boundaries and limits. Click on Embed option present there. Copy the embeded code presented in the box. Also you can adjust the height and width of the page. Navigate to the SharePoint page where you want to embed the word document. Then Edit the page and From the ribbon select Format Text, from there click on Edit source presented in the Ribbon. Now paste the embeded code that we copied in Step-2. Now Save and Publish the page, the word document will appear. In this blog we will discuss about another new feature of SharePoint 2013. Also check my previous articles on Friendly URL in SharePoint 2013, improvements in word in SharePoint 2013, Browsers supported in SharePoint 2013. SharePoint 2013 now comes with a feature known as "HTML Field Security". Through this feature a site collection administrator can control what content is allowed to embed within the iframe. It can restrict what contributors can embed in site pages. Here an administrator can define the domain names from which a contributor can add contents. Below is an example through which we can add a new domain to the HTML field security. First go to Site Actions -> Site Settings, From there navigate to the Site Collection Administration. SharePoint 2013. This will open the HTML Field Security page. Then select the radio button Permit contributors to insert iframes from the following list of external domains into page on this site. And add the domain name in the box "allow iframes from this domain", google.com and then click on Add. You can check some new features in SharePoint 2013. In this article we will discuss how to save site as a template in SharePoint 2013. You can also check out my previous articles on SharePoint 2013 boundaries and limits, New web parts in SharePoint 2013. Open the site and go to Site settings. Then go to Site Actions. From the Site Actions sections select Save site as template. This will open the Save site as template page. There give the file name, Template name, Template description. If you want to include the content of the list then check the check box "Include Content". Then click on OK, then it will show the Operation Completed Successfully message. Now check the solution gallery the template will be available there. - In SharePoint 2013, no more .stp file, the template will be saved in extension as .wsp. - Not possible to save site as template for publishing site or publishing feature enabled sites. In this blog we will discuss about What is OAuth in SharePoint 2013. You can also check some new features of SharePoint 2013 as well as hardware and software requirements in SharePoint 2013. When a user signs in to SharePoint 2013, the user's token is validated and then used to sign in to SharePoint. The user's token is a security token that is issued by an identity provider.In the case of app authentication, the authentication process verifies a claim that is made by a subject that it should be allowed to act on behalf of a given principal. Apps can be authenticated in several different ways. When a call is made to an app web, if the call is an OAuth call, SharePoint 2013 uses the Windows Azure Access Control Service (ACS) as the app identity provider. OAuth is an open protocol for authorization. OAuth enables secure authorization from desktop and web applications in a simple and standard way. OAuth enables users to approve an application to act on their behalf without sharing their user name and password. It allows users to use resources like contact list, documents, photos, videos etc that are stored on one site with another site, without users having to provide their credentials. OAuth enables users to authorize the service provider to provide tokens instead of credentials to their data that is hosted by a given service provider. Each token grants access to a specific site for specific resources and for a defined duration. - To authorize requests by an app for SharePoint to access SharePoint resources on behalf of a user. - To authenticate apps in the Office Store, an app catalog, or a developer tenant. In this blog we will discuss about different ways to access SharePoint list data using client APIs. In my previous posts we have discussed about API references in SharePoint 2013, Create list using SharePoint 2013 client object model and New web parts in SharePoint 2013. - .NET Framework client object model: This is available in a redistributable package from SharePoint Client Components. If you prefer LINQ syntax, you can use it with this library. - Silverlight client object model: This is also available in the same redistributable package and you can also use LINQ syntax with it. - REST endpoints: SharePoint 2013 provides REST/OData endpoints that can be accessed from any web client, including non-Microsoft clients and servers. If you prefer to use LINQ syntax, you can do so with this same web service from any .NET Framework platform. - Mobile client object model: This is available for use on Windows Phone. devices. The assemblies are available in %ProgramFiles%\Common Files\Microsoft Shared\web server extensions \15\TEMPLATE\LAYOUTS\ClientBin and must be included in the .xap file of the mobile app. In this blog post we will discuss about some boundaries and limits of SharePoint 2013. In my previous post, we have discussed about New webparts in SharePoint 2013, how to create a list using SharePoint 2013 client object model and New master pages introduced in SharePoint 2013. - SharePoint 2013 allows 2,50,000 site collection per web application. - Now SharePoint 2013 supports 300 Content Databases per web application. - Content database size can be 200GB for normal usuage and 4TB in all usage scenarios. - One content database can support upto 60 million items including including list, library, app etc. - A site collection can have 2,50,000 sites or sub sites. - A SharePoint 2013 list and library can contain 30 million of items or documents. - A user can belongs to maximum of 5000 groups. - A SharePoint 2013 site collection can contain 2 million users. - A SharePoint site collection can contain 10000 SharePoint groups. - A web application can contain 5 zones. In this article we will discuss about new web parts in SharePoint 2013. In my previous articles i have explained about Browsers supported by SharePoint 2013, Hardware and Software requirements in SharePoint 2013 and What is new for IT professionals in SharePoint 2013. Like this there are some other web parts also. In this blog we will discuss about image renditions which is introduced in SharePoint 2013. You can also check some new features of SharePoint 2013. SharePoint 2013 provides image renditions to optimize user experience by optimizing images. Through image renditions you can have one large images stored in your web site and you can define a number of scaled variants to be used throughout the website. SharePoint 2013 by default maintains some renditions but you can also customize. You can edit the image from the image library as well as SharePoint 2013 also provides option to crop the image which is very popular now a days. So Now image resizing and croping is possible in SharePoint 2013. You can check another article on Hardware and Software requirements for SharePoint 2013. In this post we will discuss about how we can create SharePoint list using SharePoint 2013 client object model. In my previous we have discussed how we can delete a SharePoint list using client object model. Below is the full code and in this example we will create a custom Task list. You can also check what are hardware and software requirement for SharePoint 2013. Here we will discuss how to work with SharePoint 2013 client object model using Visual Studio 2012. Before reading this you can check some new features in SharePoint 2013. In this post we will discuss how we can retrieve title of a SharePoint site by using client object model. To work with client object model we need 2 DLLs. But If you are creating an app for SharePoint 2013 using Visual Studio 2012 then the above 2 dlls will be automatically added. Different APIs are provided by microsoft to work with SharePoint 2013. This apis are very much helpful whenever you are working with SharePoint client object model. This API libraries helpful in developing SharePoint Apps in SharePoint 2013. You can also check out new features in SharePoint 2013 and Mobile Apps in SharePoint 2013. This APIs contains APIs that you can use to build SharePoint apps using the .NET client, Silverlight, and Windows Phone programming models. In this blog we will discuss about Script editor web part in SharePoint 2013. You can also check Mobile apps for SharePoint 2013 here. Also you can some blog on new features in SharePoint 2013, and some features which are removed in SharePoint 2013 here. Here is another interesting feature in SharePoint 2013 we are going to discuss. Before reading this you can check out some new features as well as some features removed from SharePoint 2013. Surprisingly SharePoint 2013 has removed the "Signin as different user"option from the welcome menu. But you can bring back the option by customizing the Welcome.ascx which is presented in the \15\TEMPLATE\CONTROLTEMPLATES\Welcome.ascx directory. But exactly no reason why it got removed !!! In this article we will see another new feature in SharePoint 2013. The new feature is know as Community site. A Community site is like forum where people in a organization go and do discussion in some topics. This helps in exchanging information between members inside organization. Also you can organize discussions into various categories. Visitors can view the discussions and become members if they want to contribute to those discussions. Moderators manage the community by setting rules, reviewing and addressing inappropriate posts, marking interesting content as featured discussions, and so on. Moderators can also assign gifted badges to specific members to visually indicate that the member is recognized as a specific kind of contributor in the Community Site, such as an expert or a moderator. Each Community Site contains information about member and content reputation, which members earn when they actively post in discussions, and when their content is liked, replied to, or marked as a best answer. With a stand-alone community, you can create the Community Site at either a site collection or a site level. You can activate community features on any site, which provides the core Community Site pages, moderation, membership, and reputation functionality within the existing site without creating a separate Community Site. The 2nd option is very much helpful, if you want to add community feature to your existing sites. Now SharePoint 2013 introduces another new and exciting feature for mobile users. Before reading this you can check out some new features in SharePoint 2013 also. Now Windows phone apps and also apps built in non-microsoft mobile applications can access SharePoint web site. 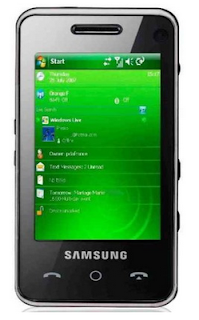 You can build the application using Visual studio 2010 for windows phones. But for non microsoft devices you can use SharePoint REST/OData endpoints. SharePoint 2013 Preview provides a framework and tools for developers, including Visual Studio 2010 project templates, to create mobile solutions that interact with SharePoint data both in on-premises SharePoint installations and in the cloud, using SharePoint Online. One point here to remember is Multiple user logon in a single app in not supported. SharePoint 2013 Preview offers a Visual Studio template to enable you to quickly and easily create SharePoint list applications for the Windows Phone. The template will not be available automatically in visual studio 2010, To make this available we need to install the Windows Phone SharePoint SDK. For example suppose you want to access and manipulate a list you can use Windows Phone SharePoint List Application template to make the Mobile app. Different SharePoint object model classes are available to work with it. Follow msdn site. In this post we will check another new feature of SharePoint 2013 towards search. Before reading this you should check some new featues of SharePoint 2013 as explained before. Also If you are very new to SharePoint 2013, you can check the installation requirement and browser supports for SharePoint 2013. SharePoint 2013 provides a new improved in search, by which now the contents can be crawled continuously. Now in SharePoint 2013 crawls run every 15 minutes by default. So end users will get fresh result most of times. Here the incremental crawl can be avoided by using continuous crawl that gave us fresh result. But the concept of full crawl is also there in SharePoint 2013 and can be configured when necessary. Here the administrator does not need to monitor anything as in SharePoint 2010 to get the updated contents. This article we will discuss about whats new in SharePoint 2013 event receivers. There are lots of new features in SharePoint 2013. But in this article we will discuss about new features of SharePoint 2013 in case of event receivers. In SharePoint 2010 an event receiver can attach to a list, list item, list email, list workflow, or web. But SharePoint 2013 introduces a new event receiver class name as SPSecurityEventReceiver. This class will help us adding event handlers to SharePoint Groups, Users, Roles and Permission Inheritance which is absolutly new in SharePoint 2013. This article will tell us what are apps in SharePoint 2013. You can also check friendly URL in SharePoint 2013 and meeting workspace in SharePoint 2013. Apps for SharePoint are self-contained pieces of functionality that extend the capabilities of a SharePoint website. An app may include SharePoint components such as lists, workflows, and site pages, but it can also surface a remote web application and remote data in SharePoint. An app has few or no dependencies on any other software on the device or platform where it is installed, other than what is built into the platform. Apps have no custom code that runs on the SharePoint servers. Instead, all custom logic moves "up" to the cloud or "down" to client computers. In SharePoint 2013 Apps can store in SharePoint Store and the App Catalog. We can use Visual Studio 2012 to create Apps easily because Visual Studio 2012 includes a new app project template in the Apps folder named Apps for SharePoint 2013. You can also see below link to know more about What we can do in an app in SharePoint 2013. 1. 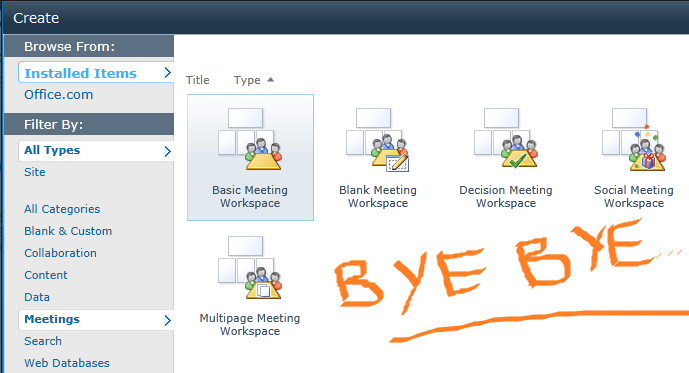 SharePoint 2013 has removed meeting workspace site template. 2. SharePoint 2013 also removed Personalization site template. 3. SharePoint 2013 also removed one feature in SharePoint 2010 designer. 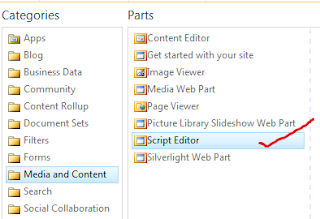 Previously SharePoint 2010 designer has Design, Split and Code view for editing Aspx/Html pages. But SharePoint 2013 removed Design and Split view, now only Code view is presented in SharePoint 2013. This changed feature is because Design view is not upto date with updated version of Internet explorer. 4. SharePoint 2013 removes UI for changing search topology, Now Search topology can be changed only by using PowerShell. Also you can check browsers supported by SharePoint 2013. 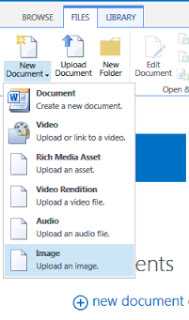 With this article we will discuss about a new feature introduced in SharePoint 2013 as Video and Audio content type. You can also check out the hardware and software requirements here and also check out the SharePoint 2013 installation video tutorial. Video and Audio content type will be helpful to us to manage video and audio web content. It has the advanced option like apart from the classic style of upload button you can also drag and drop a video or audio file. Also check new feature introduced in SharePoint 2013 as: Improvement in word and Friendly URL in SharePoint 2013. As we know there are many new features introduced in SharePoint 2013, In this article we will discuss about a new concept introduced in SharePoint 2013 called as Friendly URL. You can also check Improvement in word in SharePoint 2013 here. Now in SharePoint 2013 we can give a very user friendly URL so that it will be good for users as well as for search engine optimization. There are different steps to configure this in SharePoint 2013, you can follow a very good article here. In this video tutorial you will able to know about SharePoint 2013 search. The tutorial is presented by Josh Noble one of the co author of Pro SharePoint 2010 Search book. You can also check about some SharePoint 2013 video tutorials here. You can also check out some SharePoint 2013 site templates articles. box search. This also explains about what are the improvements in crawler side, Query Side and User side. This video tutorial explain about team site overview in SharePoint 2013 by Asif Rehemani founder www.SharePoint-Videos.com. This explains clearly about the tabs available and navigations also. Also explains about document library etc. Mainly explains about the new modified UI of a Team Site in SharePoint 2013. Also this video tutorial explains about Site Actions menu as well as showing how to change the Site Title, Description etc. Also you can check very interesting article on Meeting Workspace site template in SharePoint 2013. You can also see what are the different browsers supported by SharePoint 2013?. Here are some SharePoint 2013 interview questions and answers mentions. 1- What's new in SharePoint 2013? 4- What is an App model in SharePoint 2013? 5- Which DotNet framework SharePoint 2013 supports? 10- What is new in Workflow in SharePoint 2013? 11- What are the new Site Templates in SharePoint 2013? 12- What are the site templates obsolute in SharePoint 2013? 13- Is there any new webparts introduced in SharePoint 2013? And If yes What are the names? 14- Is Sandboxed solutions exists in SharePoint 2013? 15- What's new in social computing in SharePoint Server 2013 ? 16- Can you explain Physical architecture and logical architecture of SharePoint 2013? 17- What are the new improved social feature in SharePoint 2013? 18- How SharePoint 2013 search works? 19- What cloud app model in SharePoint 2013? 20- What is the work of Community Sites in SharePoint 2013? 21- What are the new master pages introduced in SharePoint 2013 compared to SharePoint 2010? 22- What are the new improvements in SharePoint designer 2013? 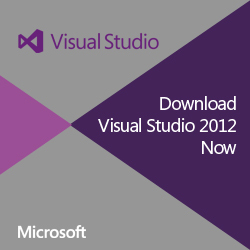 23- What are the new improvements in Visual Studio 2012 for SharePoint 2013? - Uninstall SharePoint 2013 preview. - Configure services in SharePoint 2013 preview. Apart from this deployment guide you can also check some Video tutorials for IT Pros and some video tutorials for SharePoint 2013 developers. Below mentioned is the hardware and software requirement of SharePoint 2013. Also you can visit this article for SharePoint 2013 installation. 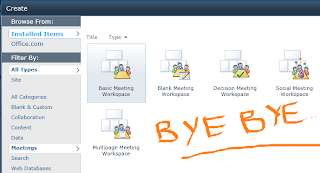 Also you can check another interesting article on meeting workspace in SharePoint 2013. RAM: 8 GB (small deployments) and 16 GB (medium deployments). Processor: 64-bit, 4 cores (small deployments) and 64-bit, 8 cores (medium deployments). This video represents a video tutorial of SharePoint 2013 installation as well as the initial configuration. This video is presents by SharePoint-Videos.com. This also shows a demo how to create a SharePoint 2013 site collection. Also you can check another video on Introduction to SharePoint 2013. SharePoint 2013 installation is more or less same as SharePoint 2010 installation. Below is the video. Here are some video tutorials provided by Microsoft for SharePoint 2013. Also you can check some SharePoint 2013 video tutorials for Developers click here. Finally SharePoint 2013 is out and the next version of SharePoint 2010 beta already released. Lots of improvement towards developers and IT pros. There was also lots of talk on what will be the next version, wether it will be SharePoint 2015 or SharePoint 2013. Finally it named as SharePoint 2013. Here is the SharePoint 2013 logo. Below are some links to download SharePoint 2013 useful software.